You may experience problems with your Sony camera from time to time that don't result in any error messages or other easy-to-follow clues as to the problem. Troubleshooting such problems can be a little tricky. Use these tips to give yourself a better chance to fix the problem with your camera. Most of the time, this problem is related to the battery. Make sure your rechargeable battery pack is charged and inserted properly. Most of the time, this problem occurs because the Sony camera's power-saving feature is set and you have not pushed a camera button within the time allotted. 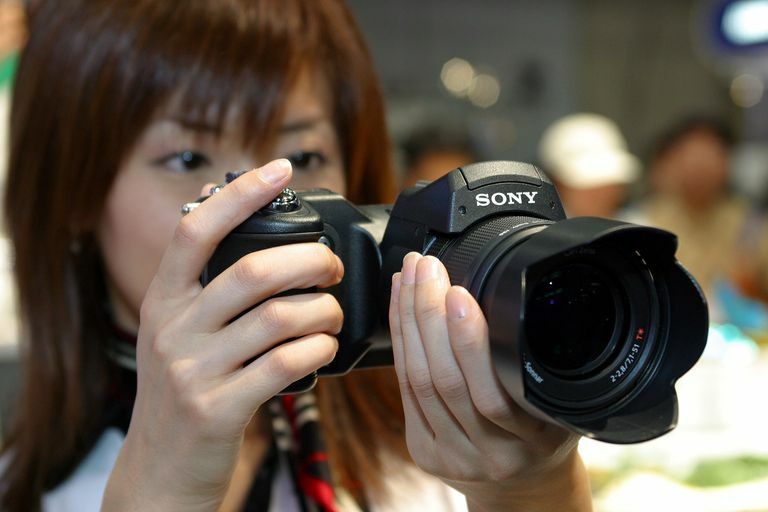 However, some Sony cameras will shut down automatically when their temperatures rise beyond a safe level. Several potential occurrences can cause this problem. First, make sure there is available storage space on the memory card or within internal memory. Make sure the shooting mode is not set inadvertently to "movie" mode. Finally, the camera's auto-focus feature might not have enough light to work properly. Several causes are possible. Make sure you aren't too close to the subject. If you're using a scene mode, be sure you've chosen the right one to match the lighting conditions. Center the subject in the frame or use the auto-focus lock feature to focus on a subject at the edge of the frame. The camera's lens also could be really dirty or smudged, causing blurry photos. Most of these dots are related to slight malfunctions with the screen pixels themselves. The dots should not appear in your photos. Some problems such as these usually are not repairable. With most Sony camera models, whenever a Memory Stick memory card is inserted, internal memory is not accessible. Remove the memory card, then access internal memory. If the flash is set to "forced off" mode, it will not fire. Reset the flash to automatic mode. You also might be using a scene mode that shuts off the flash. Try a different scene mode. Sometimes the indicator will misread the battery charge when your camera is being used in extremely high or low temperatures. If you experience this problem in normal temperatures, you might need to fully discharge the battery once, which should reset the indicator when you recharge the battery for the next time. Why Does My Camera Battery Die So Fast?